As you can imagine, countless hours have gone and do go into building this website! If you like this site, there are many ways you can support it! This page is to help you understand how! Send me your ideas, suggestions and questions! I strive to provide material and activities that are helpful in the field and YOU are the best one to let me know what you need! Contact Me by clicking here! Need in service training hours? My affordable ($10 USD each) workshops may qualify in your state for inservice hours! Click here to review my workshops! 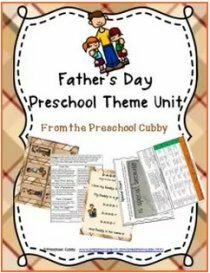 I have created many resource backs to help supplement the themes as well as other areas of preschool teacher interest! 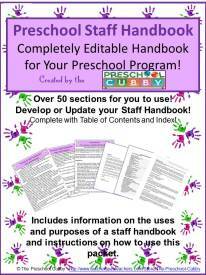 Click here to go to my Preschool Plan It Store page to see the many resources! Throughout this site you will see links for items I think you may be interested in. I have personally hand-picked these items through Amazon or other affiliate companies based on my own use or understanding of them in my own classroom. 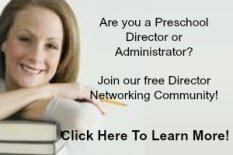 Preschool Plan-It is a participant in the Amazon Services LLC Associates Program, as well as other affiliate programs. They are affiliate advertising program designed to provide a means for sites to earn advertising fees by advertising and linking to amazon.com or their company. Say what? That means if you click on the link and make a purchase, I get a small percentage from Amazon or the other affiliate company for referring you to their site. It costs you nothing at all! I have made a list of my favorite resources from Amazon as well! You can click here to see the list! You will also notice that the website features some advertisements (labeled as such). These will take you away from my website and to that company's website. And yes, I do receive a small amount for that click (very small......like under .50!). And there you have it! These are the ways in which you can support the maintenance and continued building of this site! 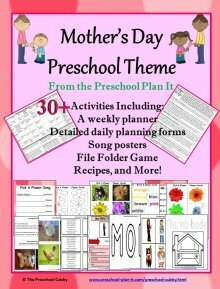 WWW.PRESCHOOL-PLAN-IT.COM provides this website as a service. 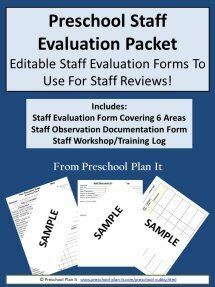 Preschool Plan-It does not accept any responsibility for any loss which may arise from reliance on information contained on this site. Some links within this website may lead to other websites, including those operated and maintained by third parties. 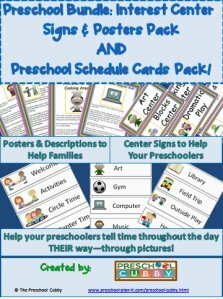 www.preschool-plan-it.com includes these links solely as a convenience to you, and the presence of such a link does not imply a responsibility for the linked site or an endorsement of the linked site, its operator, or its contents (exceptions may apply). Reproduction, distribution, republication, and/or retransmission of material contained within this website are prohibited unless the prior written permission of www.preschool-plan-it.com has been obtained.